Royal Dutch Carpets by Stanton - Save 30-60% - Save Today! 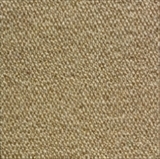 Buy Royal Dutch by Stanton Carpet and Save up to 60%! 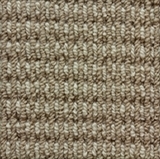 Royal Dutch by Stanton Carpet - Luxury, Elegance and Style at the lowest prices around! Luxury, elegance and high style do not even begin to describe the total beauty of Royal Dutch Carpets by Stanton. Royal Dutch Carpets, a division of Stanton Carpet, sets the tone for style. From wool carpets to sisal or seagrass. Broadloom carpets or exquisite area rugs. Whatever your taste, you will find it in the Royal Dutch carpet line by Stanton. Luxury carpets with detail. Browse the collection and call us for our low prices and fast service. Royal Dutch carpets, a brand of Stanton, is the dominant name in the broadloom category and is made up of patterned decorative carpets and tufted rugs at a mid level price. Royal Dutch has access to the great history of Stanton style with sensible pricing and is able to provide a great consumer product line of wool and synthetics.